David Braun, CEO of Washington, DC- based external growth consulting firm Capstone, is hosting a webinar to help you understand the market and to help stimulate the growth of your business. There is a unique opportunity in the market to grow your business through M&A. 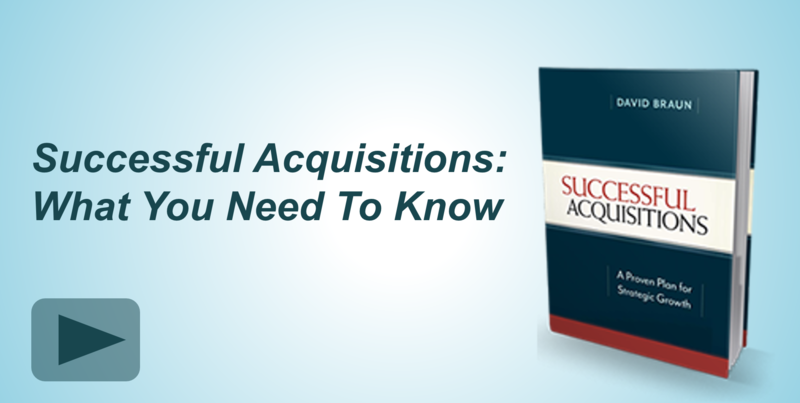 However, before you start to go after acquisition prospects, you need to make sure you are looking in the right markets. David will discuss Capstone’s unique market-driven process, which centers around future demand: What will your customers want in 5, 10 or even 15 years? Anticipating this demand is a key to future success. In order to determine what that demand will be requires research. The webinar will delve into where to begin with research and how to use limited resources to get the critical information you need to make a decision. There will also be insights on how important research into market trends is to ensuring you are targeting the best companies to acquire. David will speak for approximately 50 minutes followed by a question-and-answer session. No Prerequisites or Advanced Preparation needed! Registration Fee: $79 earlybird if registered by Friday, February 24. IMPORTANT PAYMENT INFORMATION: Once you register, we will send you a request for payment via PayPal (may take up to 24 hours). Once payment is confirmed, your registration will be approved and you will receive the log-in information for the webinar. Please forward this information on to anyone who might be interested in corporate growth strategies. Refund policy: Requests for refunds must be received in writing by 1:00 PM ET Monday, February 27 and your registration will be refunded in full within 5 business days. After 1:00 PM ET on February 27, a credit will be given for a future webinar. In the event of a cancellation, you will be given the option of of a full refund or applying your fee to a future webinar.